What Is Kefir, and Why Do We Need It? Kefir is everywhere right now: Not only is it all over Instagram, but it has also popped up on the shelves of retailers such as Whole Foods, Leon and even (randomly) Tiger. And there's hardly a wellness blogger around that isn't preaching the benefits of this odd drink in some corner of the internet. So why exactly is it such a big deal? Well, kefir hails from the mountainous region that sits between Europe and Asia. It's a cultured, fermented milk drink that is not too dissimilar to yoghurt, except it has more of a fizzy texture (that'll be the carbon dioxide that is produced via the fermentation process). If you haven't tasted it, it's a bit like taking a swig of milk a few days past its use-by date, but as it usually comes with added fruit flavours, it's (thankfully) much tastier than that. It's made by submerging kefir grains (small, gooey grains full of bacteria and yeast that look a little like cottage cheese) into whole milk, where they multiply and ferment the lactose in the milk into lactic acid as well as infusing it with plenty of beneficial bacteria. The grains are then strained from the milk and can be used again in another batch—if you've ever made sourdough bread, this part is like the starter. You can also get kefir water, which is made in a similar way with water-specific grains and a sugar solution. If it all sounds a bit gross, well, its numerous health benefits make it a little easier to swallow. 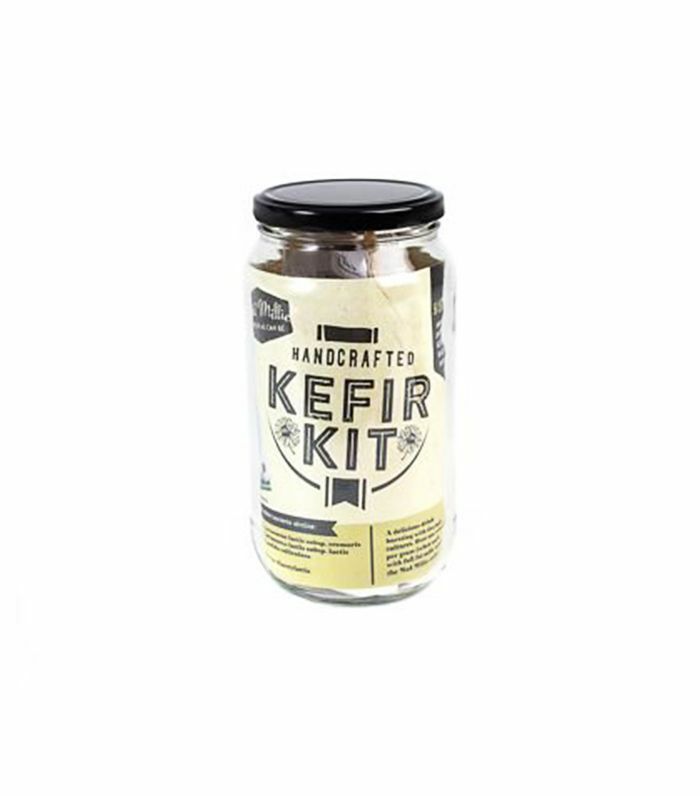 Kefir grains contain around 30 strains of "good" bacteria, making the drink a brilliant source of probiotics, which have reached recent fame thanks to their ability to balance the bacteria levels in the body, bolster our immune systems and promote gut health. They've also been linked to eased digestion, and some preliminary studies do suggest that kefir could boast some anti-inflammatory benefits, although more research is needed in this area. 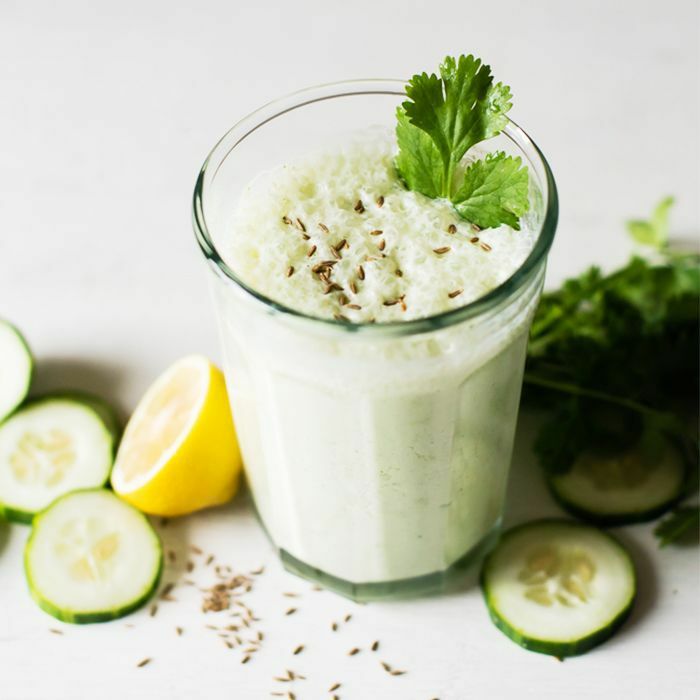 At Leon, you can get a blueberry and elderflower kefir shake or a mango and passionfruit kefir smoothie, or buy straight-up kefir milk from Amazon here, which you can then turn into a kefir smoothie like this one by Hello Glow. Fancy trying your hand at making it yourself? This kit by Lakeland (£10) has everything you'll need.